Spring is here, if you live in Canada like me I wouldn't call the weather we have been having spring lol but none the less it is April and that is the month when Spring starts. 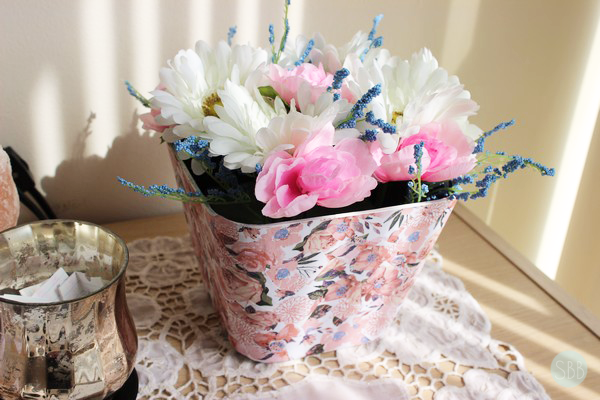 Last month I came across a DIY for a Vintage Flower Box and this gave me ideas to create my own flower box. 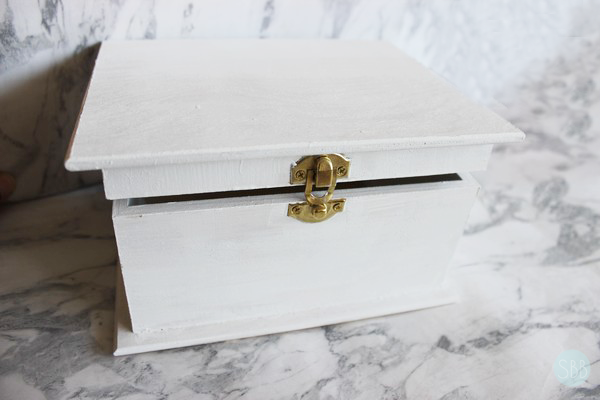 I went on Pinterest to look up some images and I got tons of ideas that I decided to make two one is a Vintage Flower box inspired by this blog post that I read and then the other is a wooden box that I bought from the Dollar Store and fixed up. 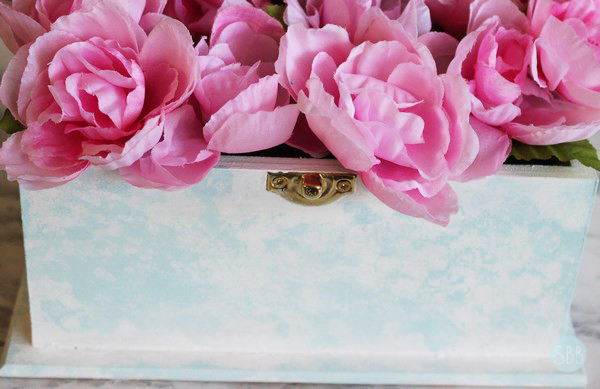 To start with this DIY you're going to need the box you want to put your flowers in and a floral foam. I purchased both boxes from Dollarama which is a Dollar Store. I would suggest also getting sandpaper to make sure the box is smooth if you decided to get a wooden box. I thought the box I purchased was completely smooth until I got home and noticed it wasn't and I didn't want to go out and buy sandpaper lol. 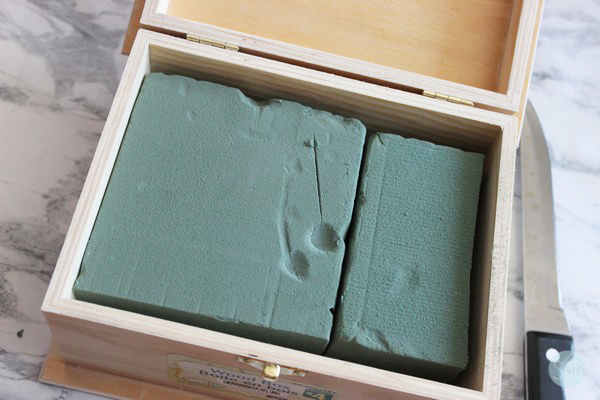 Make sure you also measure the foam to the size of your box and cut with a knife. I used an old knife that we have in the house. No one uses it for cooking and the foam was very easy to cut. Next, you're going to want to get your paint together and paint brushes. I bought mine from Micheals which is one of my fave store I could spend hours in Micheals. 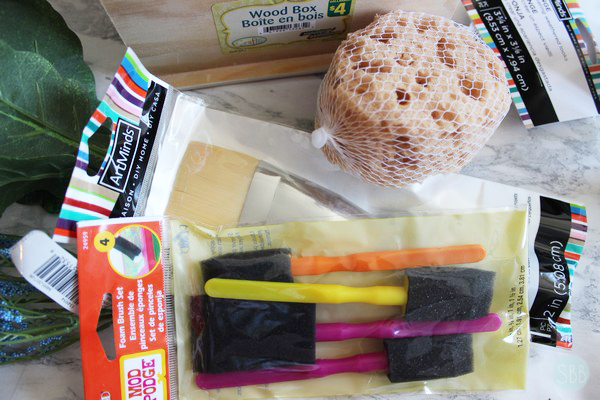 I also picked up a sponge from Micheals as well to create a sponge effect on my box. What I love about Micheals is when I went there they had so many different options to pick from they even had a tool to create a wooden pattern which I almost bought but then decided to stick to my original plan. Next step is to paint your box in the base colour. 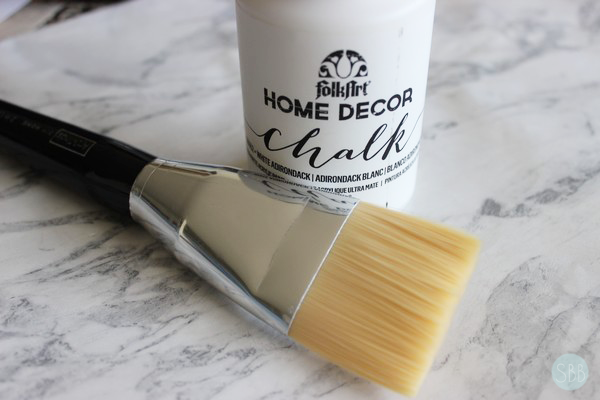 I used Folk Art Home Decor Chalk paint in White. I did two coats and waited for 20-30 mins in between coats. Folk Art recommends waiting two hours between coats but I felt like I didn't have to wait that long. The only problem with this paint is the smell so I would suggest wearing a mask. Otherwise, I had no problems with this brand. Now for the blue, I bought also from Micheals Art Minds Decor Soft Gloss Acrylic Paint in Crystal Blue. I next mixed a very small amount of the white paint into the blue just so the finish wouldn't be too glossy and stipple the sponge onto the box. Then I wait 15 minutes for the paint to dry. 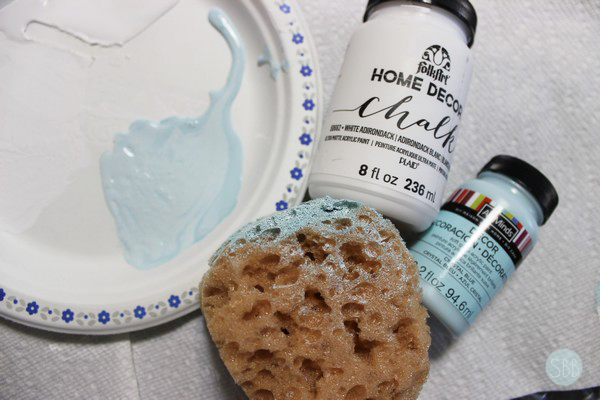 After I mixed in more white to create a softer blue shade and then once again a stippled my sponge into the box. I wanted my box to have two different tones of blue. Then I let my box sit for a half hours to make sure it was completely dry. Once it was totally dry I arranged the flowers that I purchased from Micheals into the foam. 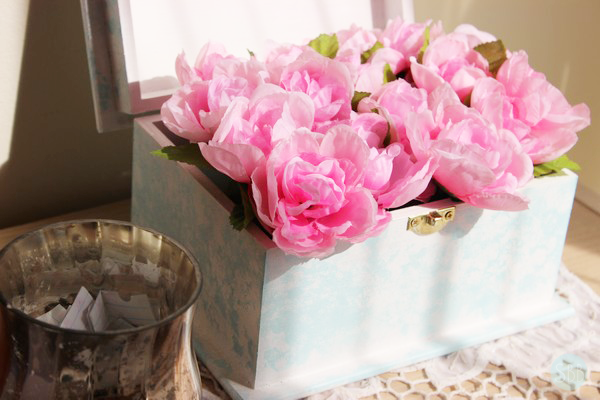 If you want to use real flowers then I would line the box your using so that the box doesn't get wet from the foam. 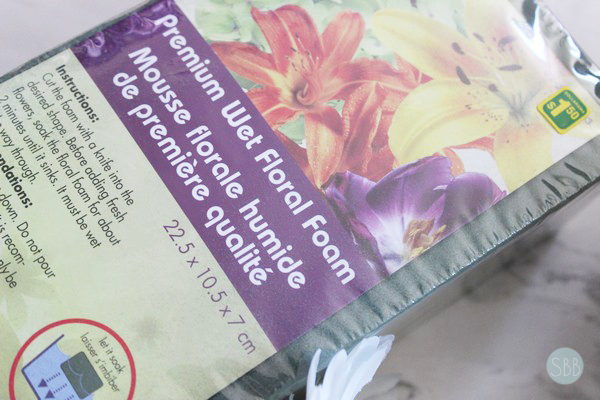 Because for real flower you do have to soak the foam in water. However, I used fake flowers as I don't see myself going out to the store to purchase real ones and replacing them when it's time to do so. I also made another box as well with a vintage feel to it. 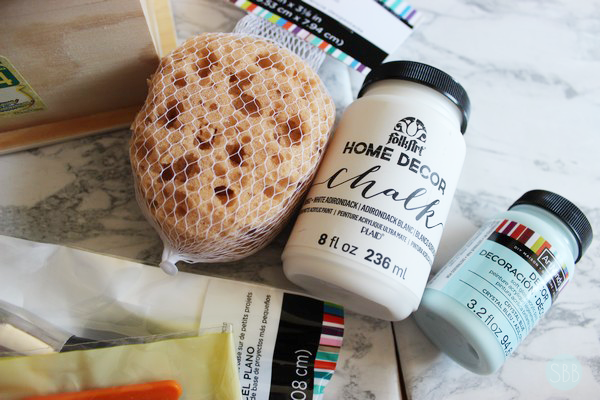 Hope you guys give this DIY a try! This is such a cute diy and idea! 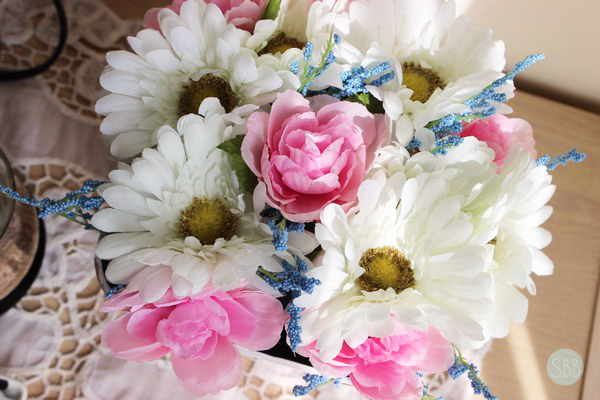 I always love having flowers around but they die too soon so those would be a great alternative! This is so nice and i would love to have it on my table. I have always wanted to attempt this but haven't gotten around to it. What a fabulous DIY, especially if you're still living in winter conditions up North! Wow this looks so pretty and like so much fun. How pretty!!! I'm always looking for props for photos and this just gave me lots of inspiration! I almost went to Michael's today to get some new silk flowers. I'm glad I different because I have some new ideas!